James Taylor has three concerts and one Gala appearance on the Tanglewood 2012 schedule, marking the 20th summer he has performed there since making his Tanglewood debut in 1974. Accompanied by a band of first-rate musicians, Taylor is booked for July 2, 3, & 4, in what is becoming an Independence Day tradition in the Berkshires. Besides all that rock ‘n roll, Taylor is on the bill, along with other local favorites Emanuel Ax, Yo-Yo Ma, Anne-Sophie Mutter, Peter Serkin, at al. for the 75TH Anniversary Gala Concert with the Boston Symphony, Boston Pops, and Tanglewood Music Center orchestras, scheduled for July 14. 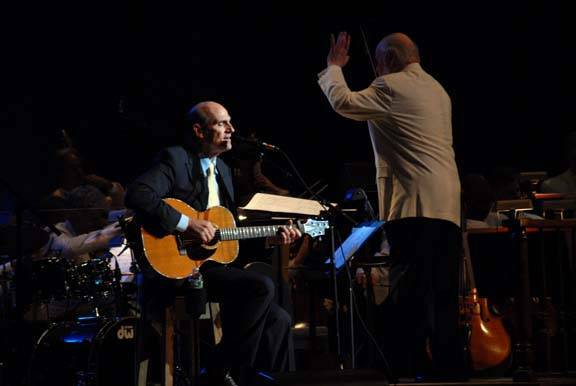 James Taylor has been associated with the Berkshires practically for his entire career; his earliest experiences in the Berkshire county are referenced in the songs Fire and Rain and Sweet Baby James from his 1970 Warner Bros. album Sweet Baby James. In the early 1970s, he spent time at his friend Arlo Guthrie’s home in Washington, Mass., and 30 years later built his own house on the opposite side of October Mountain, in Lenox, home of Tanglewood, where Taylor’s annual appearances are not only wildly popular, but also of substantial importance to the economic health of Tanglewood and the local businesses that cater to and/or depend upon Tanglewood patrons.